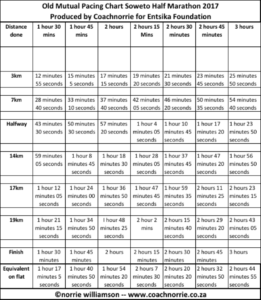 Sunday’s soweto marathon and half marathon / 10km are not easy courses, so below is a table to assist you in selecting the correct pacing section for your race. 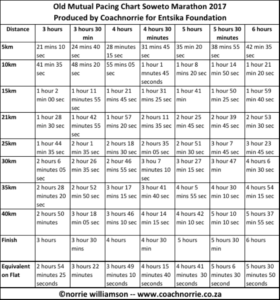 For the MARATHON – look along the line for your best 10km time from the last 9 months – move up a line and compare this to your best marathon in the last 12 months and on the top line you will get an indication of the best Soweto time you can expect to do on sunday ..
You can by all means opt to go slower, but trying to do faster will most probably see you blowing around 30km and then its a very long struggle to the finish. The same principle is used to select your time for the Half Marathon 21km race. 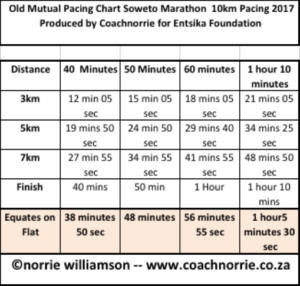 These pacing charts take into account the hills and drops in the course and all you need to do is to get to the various km marks close to the times given and you will be able to achieve the finish time. 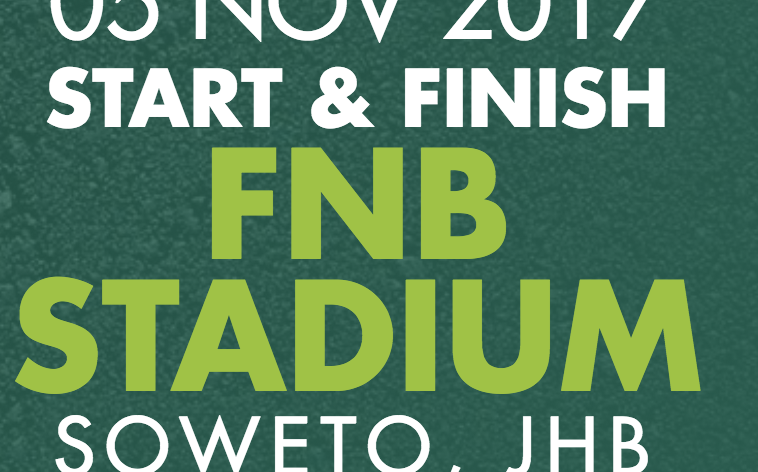 Have a great run out there and enjoy that fantastic community of Soweto. Have a Great Race – and see you at the finish – and by then it will also be completed!!! !